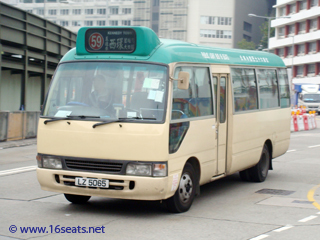 Passenger can enjoy $1.0 fare discount on HKI GMB route 4A, 4B, 4C, 5 or 35M (from Aberdeen Centre) when interchange from this trip (Sham Wan bound) by using the same Octopus within 60 min. Passenger can enjoy a combined fare on two trips at $3.0 when interchange from HKI GMB route 51 (Aberdeen Centre bound) to this trip (Sham Wan bound) by using the same Octopus within 60 min. Passenger can enjoy a combined fare on two trips at $3.0 when interchange from this trip (Kennedy Town Station bound) to HKI GMB route 51 (Tin Wan Est bound) by using the same Octopus within 60 min. Passenger can enjoy $1.0 fare discount on this trip (Kennedy Town Station bound) when interchange from HKI GMB route 4B, 4C, 5 or 35M (Aberdeen Centre bound) by using the same Octopus within 60 min.